Happy 4th of July, everybody! 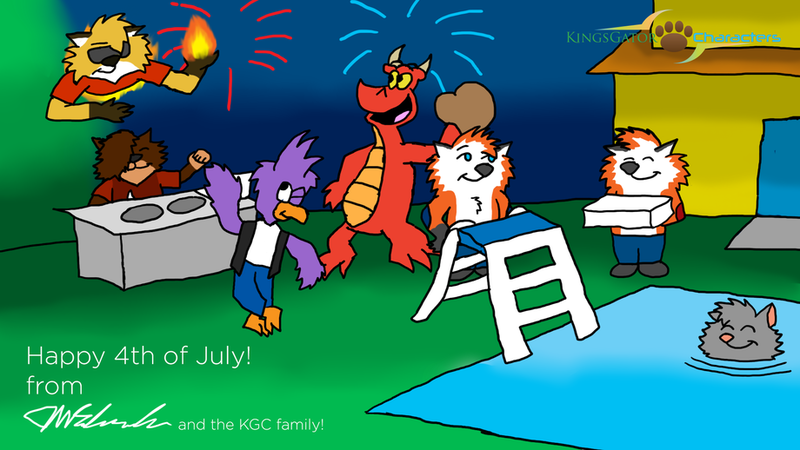 Celebrate with fireworks (of course), and whatever else you can find! But they're not the only ones celebrating! Three more peeps have visited Critterton for the party! We got Jengo dancing to Seddy's beats, and we got Riley, who brought a baseball glove to catch fireballs thrown by Lance the Firefox!